This article describes how to set up and use the zoom integration for MeetNotes. The MeetNotes Zoom integrations combines superior video conferencing capabilities with collaborative meeting notes. 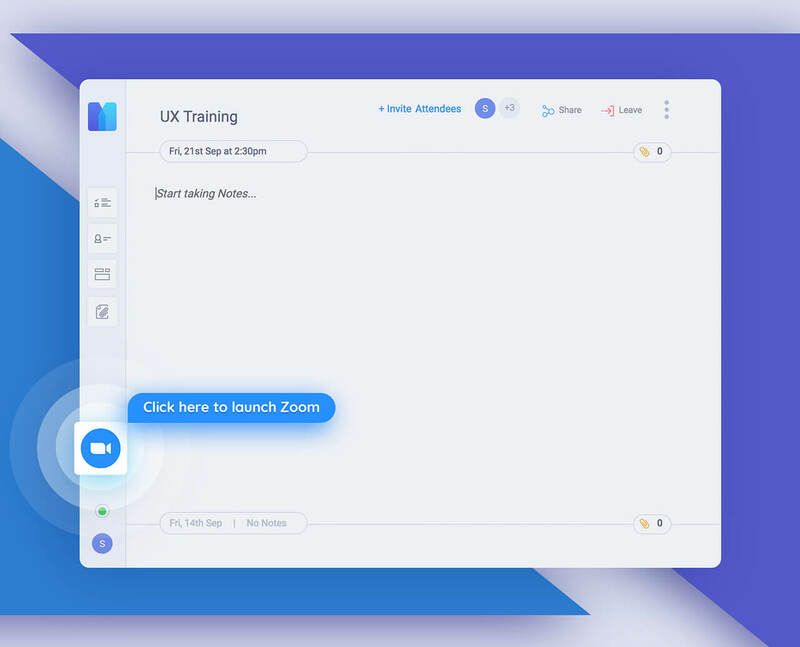 You can now launch a Zoom meeting from within MeetNotes. Here’s how you can set up this integration. 1. Sign into your Zoom Account and schedule a new meeting. 2. Add the meeting to the calendar that is linked to your MeetNotes account. Or just add the meeting invite to your google calendar, MeetNotes will pick it up from there. 3. Head over to MeetNotes. The meeting editor now features a video conferencing button on the left. Clicking on this button will launch the meeting in Zoom. Ramp up your meetings with video conferencing voice calls and screen sharing in addition to collaborative meeting notes. Launch a Zoom meeting from MeetNotes and let us know what you think.